Suzy McCabe and her students at Heritage High School (HHS) were the recipients of one of WakeEd Partnership’s Teacher Innovation Grants. Built from her desire to provide an opportunity for vocational training for her special education students students, McCabe set about to create a store where each of her students could learn and serve their community. “Unique Apparel” opened in early 2017 after months of planning and collaboration. 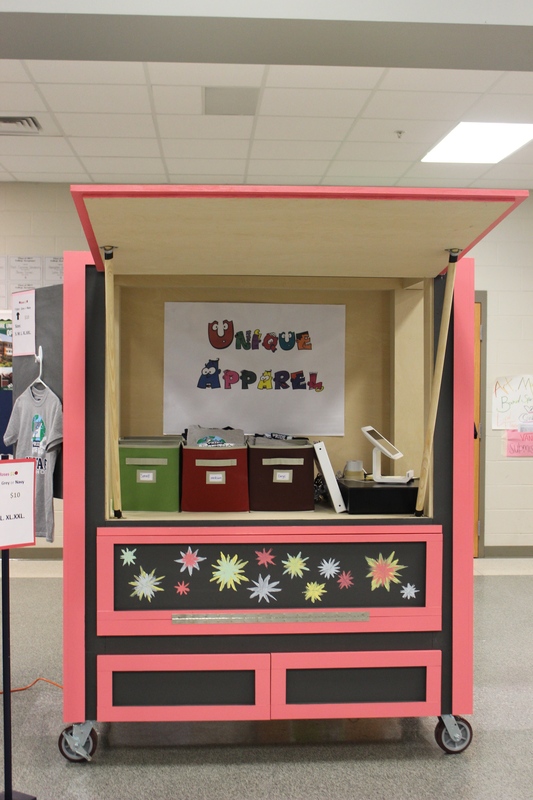 McCabe envisioned a mobile apparel store where her students could learn to conduct sales transactions, use a cash register, manage inventory, and interact with customers. 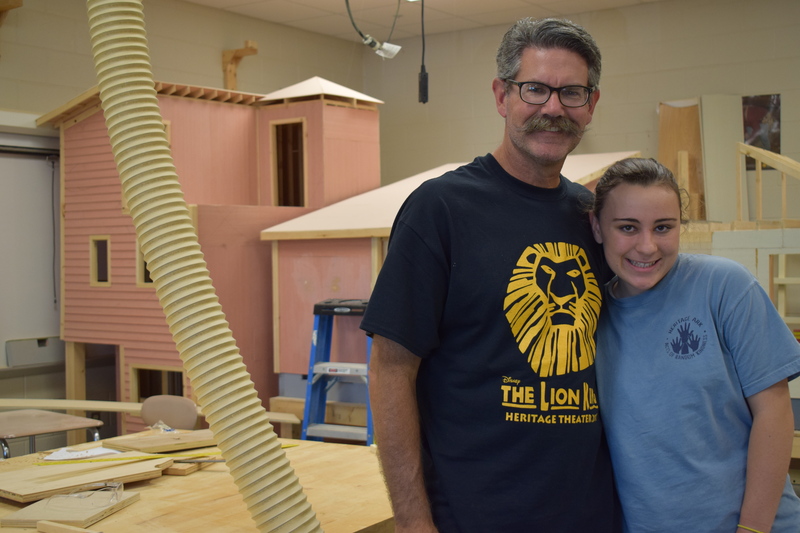 Her initial idea was shared with Jim Burrows, the HHS Construction teacher, who led his own students through a design and revision process to build a cart to best serve the needs of McCabe’s students. 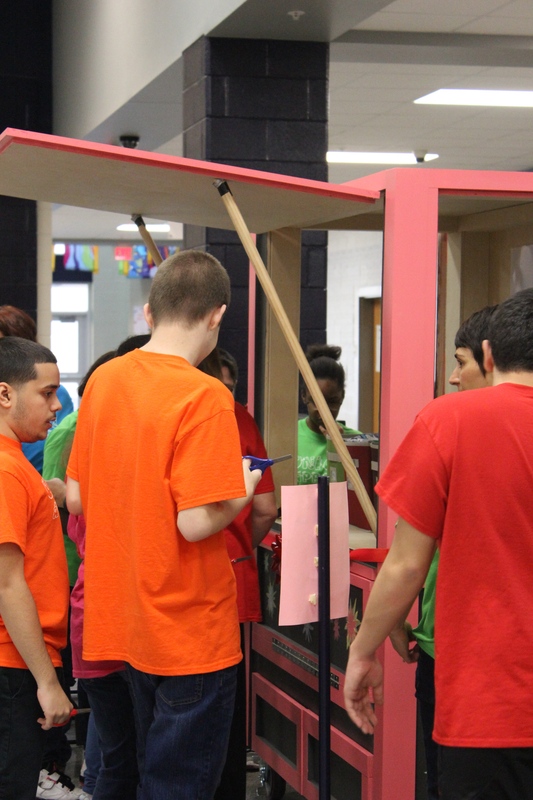 Burrow’s students spent months planning, building scale models, revising, and finally constructing the cart that now serves as the mobile storefront. Unique Apparel opened in February. It was truly a community event; the official ribbon-cutting was featured in several area newspapers, and Wake Forest’s mayor, Vivian Jones even came out to support the cause. Staff and students are not only excited about the wares sold in the store, but they are also very supportive of the students who work there. 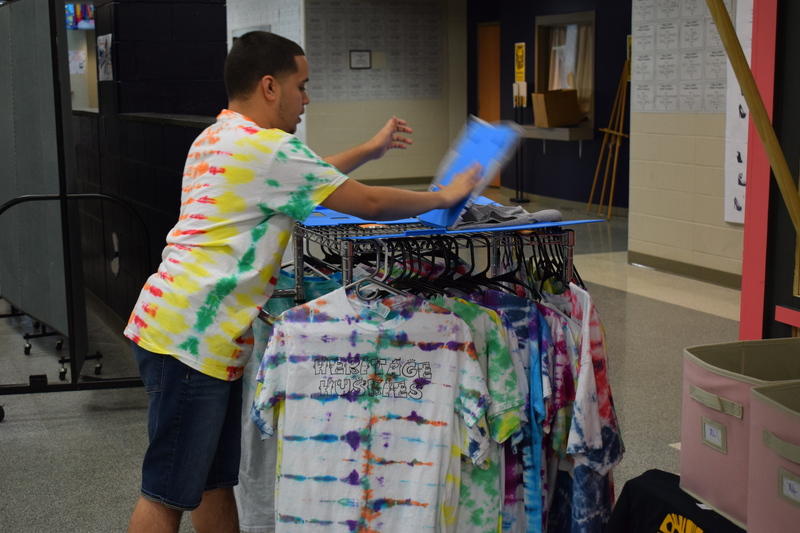 The store is open on Wednesdays during all lunches at the school, and they sell T-shirts, lanyards, and other apparel depending on the season. 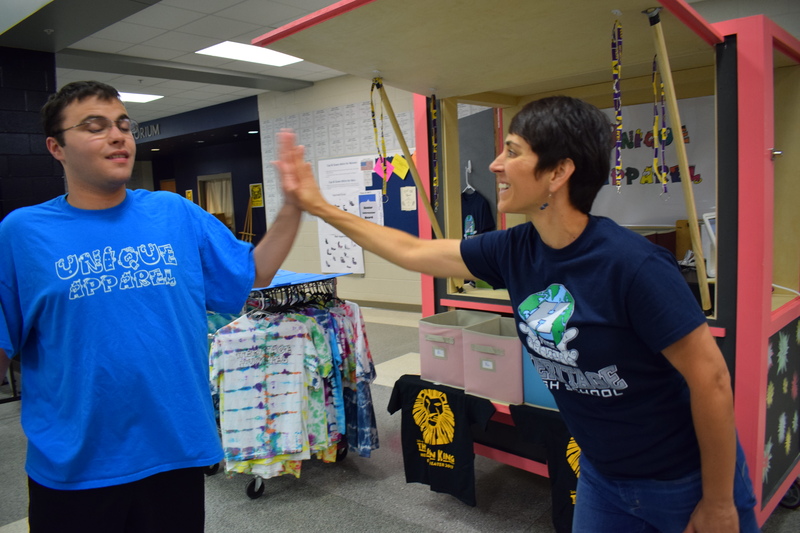 For example, right now, they are selling cub ears and Lion King T-shirts to help promote the school’s musical which runs for two weeks in May. 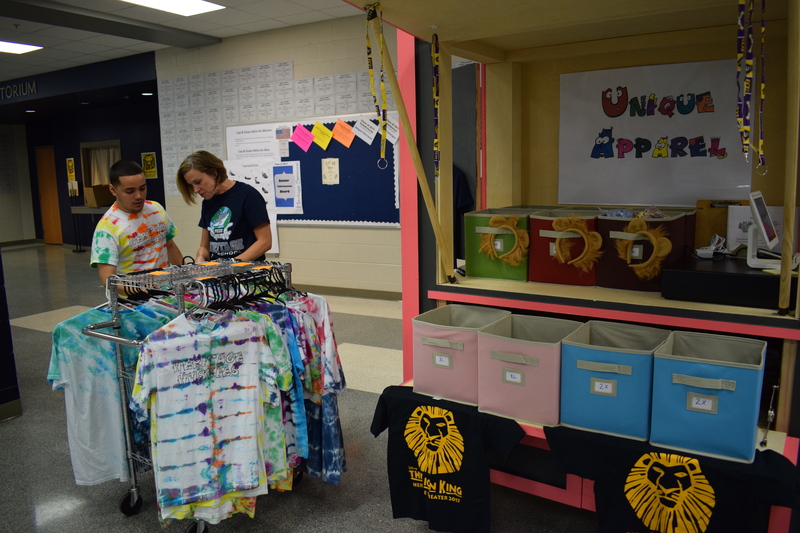 McCabe even has the cart set up during intermission and after the Lion King shows to sell merchandise, and is offering fresh flowers as well for theatre-goers to purchase. 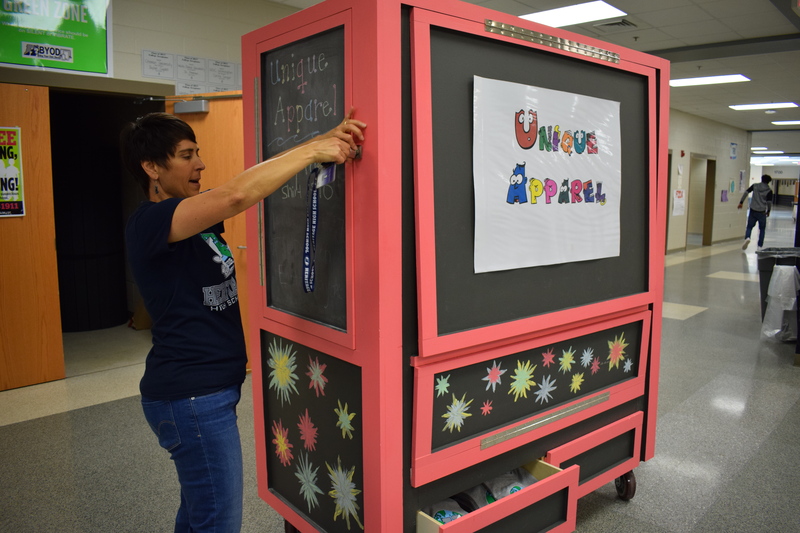 McCabe’s students are learning to interact with customers, how to count change, operate a cash register, properly fold and display merchandise, keep up with inventory, and more through their experiences with the Unique Apparel store. The store has provided not only an opportunity for these students to learn these vocational skills, it has also increased their confidence and self-esteem. On my visit, I watched a student set-up the cart displays, help a customer pick out a shirt in her size, complete the transaction, and then fold the shirt and present it to the customer. The look of excitement and pride on his face because of his job well-done was evident and infectious. 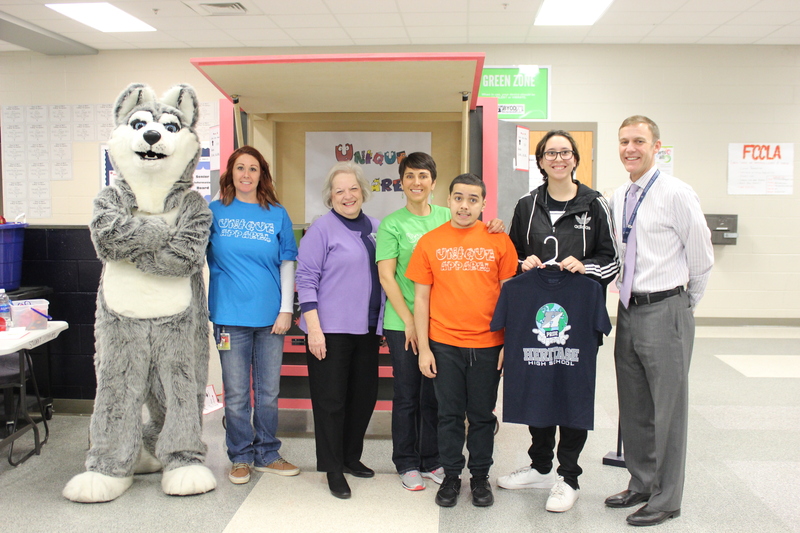 Thank you, WakeEd Partnership; because of this grant, Unique Apparel has positively impacted the lives of many students. The 4Cs are on display through the collaborative and creative work of the many adults and students who worked on the project. Heritage High School student sets up the shirt displays for the Unique Apparel store. 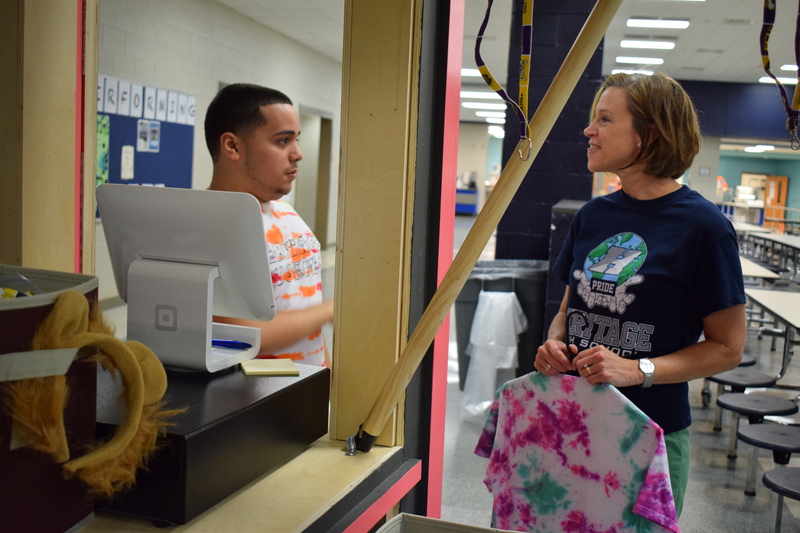 Heritage High School Student helps a customer at the Unique Apparel store. Suzy McCabe and Heritage High School students in front of the Unique Apparel store. 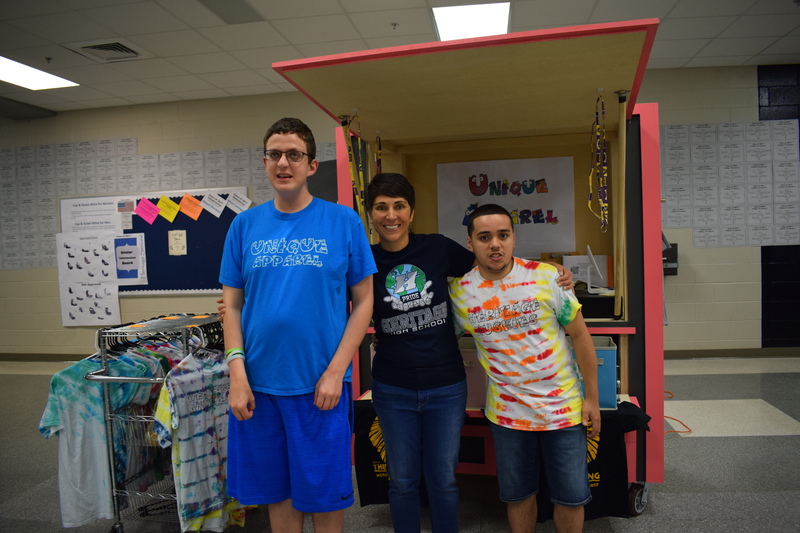 Jim Burrows and Heritage High School students built the Unique Apparel cart. Heritage High School students cutting the ribbon to open Unique Apparel in February 2017.